Daesean Winston will be one of several big-play performers returning for Archbishop Spalding. The Cavaliers finished No. 2 in VSN’s Top 20 last fall. With the start of practice for the 2017 high school football season approaching, Varsity Sports Network’s Derek Toney takes a look at the regular season itinerary for select area teams. 2016 review: The Cavaliers enjoyed their best showing in the MIAA A and finished No. 2 in the final VSN Top 20. The Anne Arundel County school graduated a talented senior class, led by quarterback and VSN Offensive Player of the Year Evan Fochtman, but will be explosive offensively again in 2017 with all-league receiver Jamari Jones leading the charge. Toughest 2017 opponent: St. Frances Academy. The Panthers had an amazing turnaround going from last place in 2015 to the MIAA A crown and area’s top-ranking last fall. 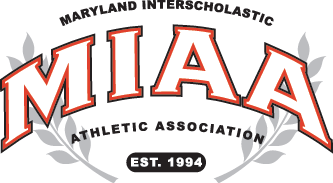 The east Baltimore school, led by four-star defensive end Eyabi Anoma, will be the team to beat in the MIAA A in 2017. Most intriguing 2017 opponent: Bishop Moore. The Orlando school, which won the Florida Class 5A state crown in 2015 (quarterfinalist in 2016), will be the centerpiece of Spalding’s daunting pre-MIAA A schedule (Class 4A state semifinalist Annapolis and perennial WCAC power Good Counsel are other matchups). Offensive linemen Eric Seidelman, a Central Florida commit, will lead the Hornets. By a number: 8. Games Spalding scored at least 42 points last season.